For Part II of this month's Swap & Style with Katrina, we styled up my bright yellow floral blouse from ModCloth! I wore it on a warm day in sunny southern California, while Katrina cleverly styled it for fall with tights and layers. Photos and details after the jump. I wanted to keep my outfit simple and carefree for summer, so I paired the blouse with striped high-waisted shorts, a simple daisy necklace, and black peep toe wedges. Katrina also paired it with shorts, but added a cozy sweater and tights for fall in Seattle! 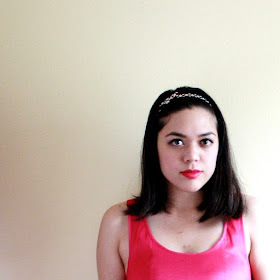 Don't forget to visit her blog for additional photos and details of what she's wearing. 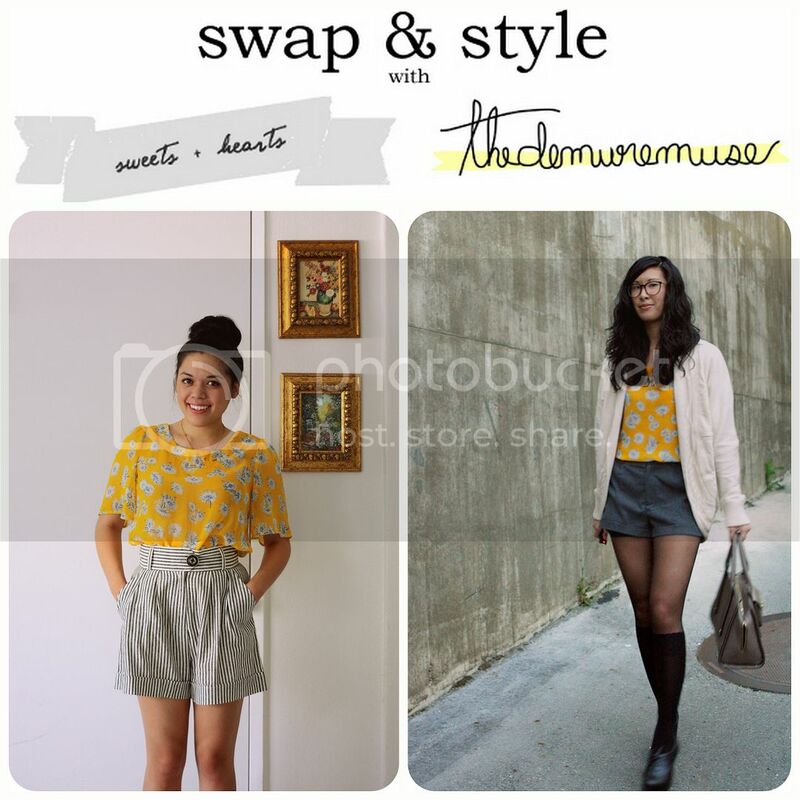 Hope you enjoyed this month's Swap & Style! I can't wait to see what Katrina will send me next. How do you style summery pieces for fall?